It is estimated that two out of three Americans are missing one or more teeth. A major factor of this tooth loss is from gum (periodontal) disease as the American population grows older. An AARP Bulletin warned that among older Americans dental disease has become a silent epidemic. This causes problems not only in the mouth but throughout the body. Bacteria from chronic gum infection can travel through the bloodstream to the organs. Also, adults with missing teeth cannot eat properly and frequently develop nutritional deficiencies from poor diets. In conjunction with dental and nutrition problems from missing teeth, there are self-esteem and social considerations. Missing teeth can have a very negative impact on patient’s self-esteem. Many social and family activities take place around eating. It can be very difficult and embarrassing for people with missing teeth who cannot chew food properly. Plus, the spaces from missing spaces are unsightly and unattractive. Some Senior Citizens that are missing teeth rely on old fashioned bridges or dentures to replace missing teeth. 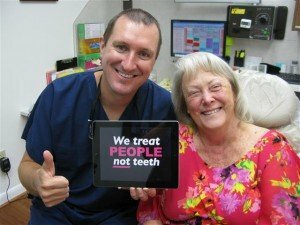 Often times older dentists are more comfortable with older techniques. However, Senior Citizens deserve the best treatment available. Old fashioned bridges require excessive cutting on healthy teeth to function as anchors to support the bulky bridge. Bridges do not have a good long term prognosis. With time, the bridge will fail causing bigger problems and bigger expenses. Bridges usually fail because patients have difficulty cleaning and flossing them. The root surfaces below the bridge becomes highly prone to decay. When the anchor teeth get decay a new bridge will have to be made. 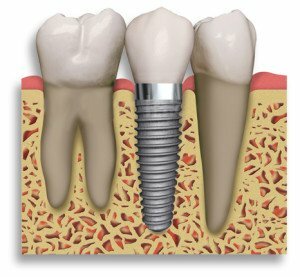 Patients receiving dental implants do much better because one cleans a dental implant just like a natural tooth. Patients can brush and floss the dental implant tooth. The dental implant will never get a cavity and the dental implant maintains bone and gum tissue levels. 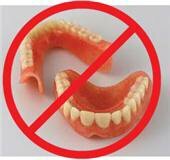 Partial dentures and complete dentures are horrible treatment options to replace missing teeth. They are bulky and are unstable. Many denture wearers are constantly worrying if their denture is going to fall out during speech, laughing or eating. The dentures are loose and make eating difficult. The dentures merely rest on the gum tissue and do not stimulate bone or gum tissue. Patients have to deal with messy denture adhesives. 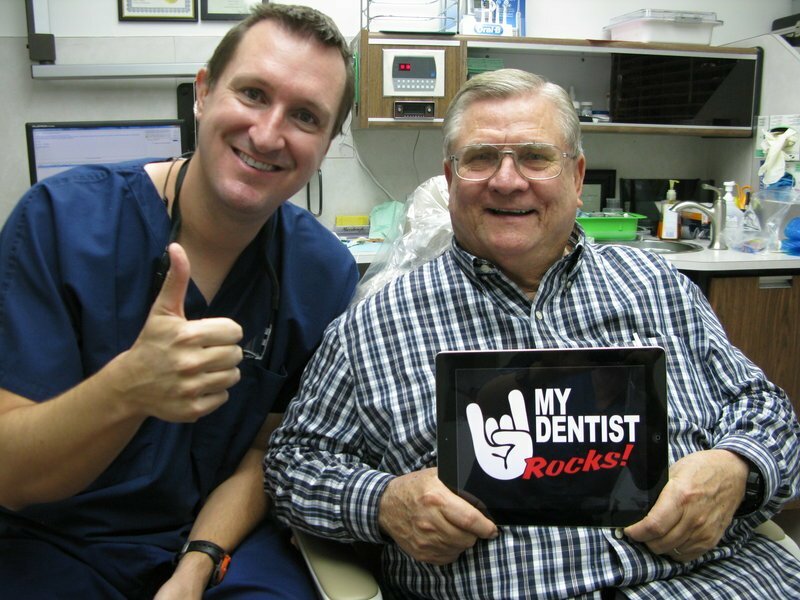 Dr. Nugent can make dental implant dentures that elevate the problems of old fashioned dentures. Call 713-941-8261 and see for yourself why Dr. Nugent was voted “Best Dentist in Pasadena 2010″ and “Best Dentist in Pasadena 2011″ . Dr. Nugent sees Senior Citizen patients from Pasadena, Deer Park, La Porte, League City, Webster, Friendswood, Houston and Clear Lake Texas.